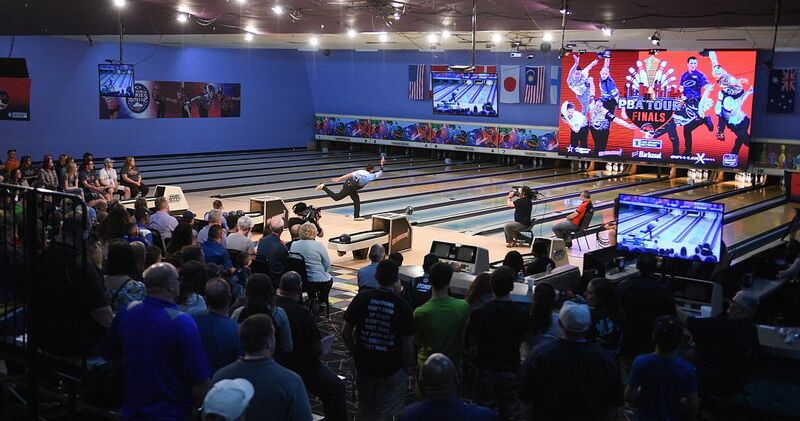 Professional Bowlers Association CEO and Commissioner Tom Clark has announced a new four-year agreement with the CBS Sports Network to air the PBA Tour Finals beginning in 2019. In another Go Bowling! PBA Tour first, the CBS Sports Network will provide an unprecedented 10 hours of live coverage of the showcase event from the Red Rock Casino Resort & Spa in Las Vegas July 20-21, 2019. 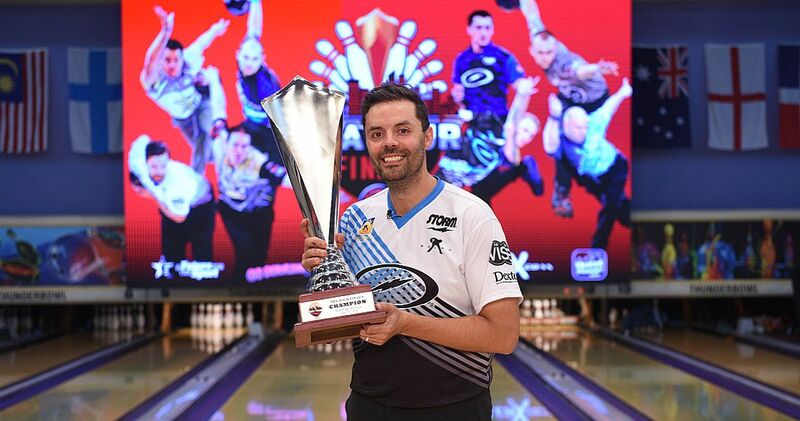 The 2019 edition of the PBA Tour Finals will feature the top eight players in points from the 2018 and 2019 season through the USBC Masters in April. 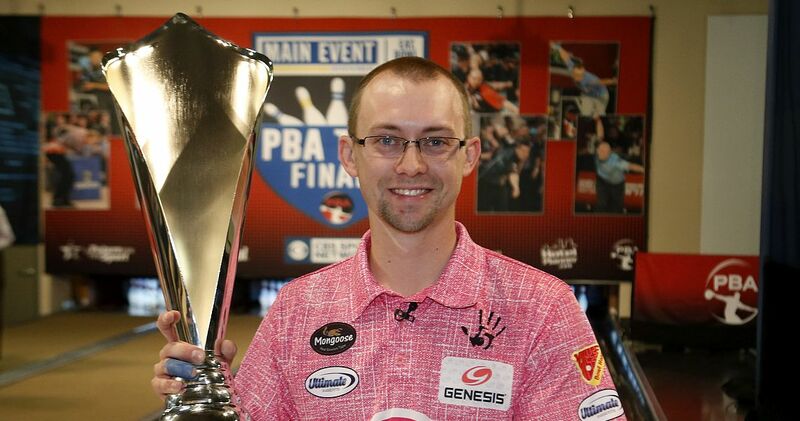 In the previous two PBA Tour Finals, won by EJ Tackett (left) in 2017 in Orlando and Jason Belmonte (right) in 2018 in Detroit, the top eight money earners were awarded with a PBA Tour Finals berth, however, that eligibility requirement will switch to the top eight in points beginning with 2019. The 2019 PBA Tour Finals will incorporate the same format as 2018 with the eight-player field divided into two four-player groups. The field will bowl four games of qualifying in their respective groups on a different oil pattern each game. The four game scratch totals for each player will be used to determine the seeding for a separate stepladder finals in each group. The final match of each group’s stepladder will be a best of three-game match with ties broken by a 9th and 10th frame roll off. The two group winners will then meet in another best-of-three game championship match that will also use a 9th and 10th frame roll-off should there be a tie after two games. 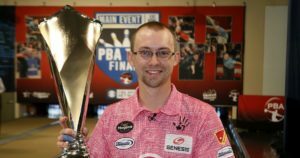 The PBA Tour Finals is also a unique opportunity for bowling fans to make a trip to Red Rock to witness eight of PBA’s elite players do battle at one of Las Vegas’ premier resorts. A detailed tournament schedule with ticket information and lane conditions will be announced at a later date.